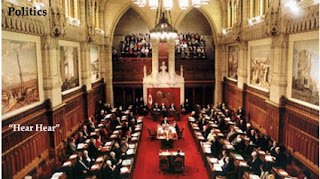 The Canadian Senate Gets Busy! If you're rubbing your eyes or you're sitting there thinking to yourself, "Good one Karl! 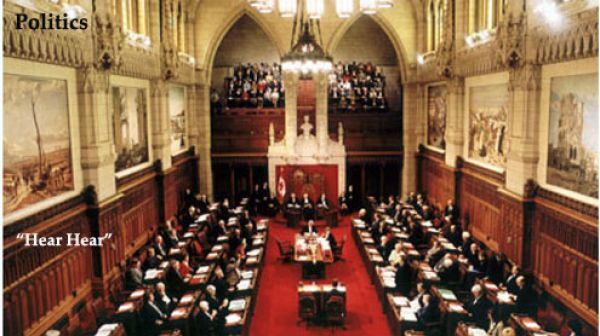 Always room for more sarcasm when discussing Canada's sleepy Senate." Well, think again. Members of the Senate are unhappy with Harper's omnibus style budget that is loaded with crap that has nothing to do with the budget and are getting ready to carve it up. They even have the support of Progressive Conservative Senator Lowell Murray. Since Bill C-9 is a confidence matter that could bring down the government if it is defeated, the Conservative government has stacked it with measures that the opposition finds unpalatable. They are unlikely to act on this as the political parties are all led by not so brave men who spend all their time reading polls and do not want to go to the polls right now. One of its more egregious proposals would exempt a wide range of commercial projects from rules designed to protect the environment - does this idea make you think of the Deepwater Horizon? And the cabinet would have the right to sell off the country’s nuclear corporation, Atomic Energy of Canada, without parliamentary approval. Top it all off with Harper's law and order obsession - Harper seems intent on sending more Canadians to prison at a time when crime in Canada is decreasing - and and it's altogether a nasty sh** sandwich they're serving up to Canadians.